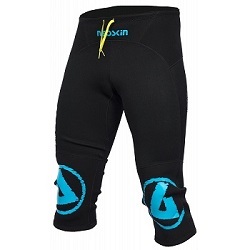 Cornwall Canoes stocks a range of popular paddling neoprene shorts and wetsuits. 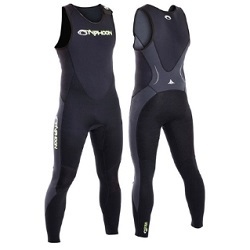 A 3mm neoprene long john wetsuit, with Tuftex knee and seat reinforcement and easy shoulder entry. Great for paddlesports. Full-length longjohn neoprene wetsuit featuring a two-way zipper for easy entry and a stretchy back panel for freedom of movement. 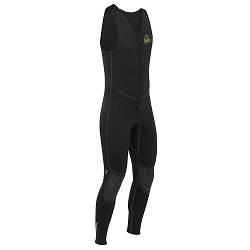 Pre-bent legs also add to the comfort of wearing this versatile wetsuit. This is a great choice for numerous paddlesports including kayaking, canoeing and SUPing. The Palm Quantum are a lightweight, 3mm Flatlock stitched neoprene short, with an asymmetric cut for additional comfort when paddling. 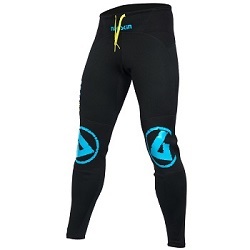 The Peak UK Neoskin Strides are a 1.5-2.5mm Flatlock stitched neoprene 3/4 length short, with reinforced knees and seat for increased durability when paddling. Available in sizes XS, S, M, L, XL and XXL. The Peak UK Neoskin Pants are a flatlock stitched 2mm neoprene trousers, with 2.5mm reinforced knees and seat for increased durability when paddling.